Could this get any cuter? As the holiday season creeps closer and closer (HOW are we two-thirds through November already? Can somebody tell me?) I can feel my body screaming for a little bit of R&R. And in my books? That means heading to place where somebody will pamper me, and let me leave prettier than I arrived. A few weeks ago I visited Rinse Beauty Bar in Etobicoke that did JUUUST that. The story? Situated a stone's throw from Mimico Go Station, and the cutest macaron place ever (sorry Nadege! 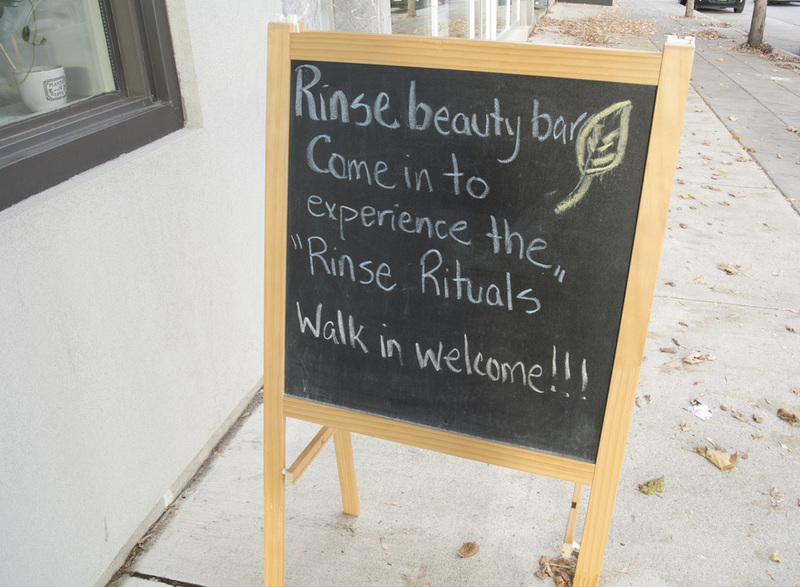 ), while there are a few salons nearby, Rinse Beauty Bar is an oasis. Rinse specializes in providing services with gentle, organic products that don't use harsh chemicals. They are also your local everything. Hair cuts, styles, blow-outs, hair removal and waxing, a variety of mani-pedis (even ones specifically for kids!) and more. You could literally just come here and get everything done on a Saturday in one go. The products? When you browse their nail wall, their featured brands are 5-free vegan and cruelty-free brands like Zoya, Spa Ritual and LVX, and their facials use all-natural ingredients and plant derived materials. I didn't get a facial myself but witnessed another customer leaving after one and she looked the MOST relaxed and kept gushing about how amazing her skin felt. Sign me up! My services? For my treatments, I initially decided on The Escape ($65), which includes a mani pedi complete with a soothing soak using shea butter melts (my skin was soft for daaaays), an exfoliating scrub, cuticle work, hot towel massage (the bessst) and then one of their 5-free polishes. But after my pedicure, I was gently persuaded to test out the Bio Seaweed Gel for my fingers, and I loved it! In retrospect I should've gone for the Bio Seaweed Gel on my toes too because I'm TOTALLY HOOKED now. My nails grow pretty fast, so it's almost two weeks out & I need to get them removed (which you CAN do at home, don't fret) but if you go back to get them removed at the salon, it's free! But if you don't have superhuman nail and hair growth like I do, you could probably squeak out with three weeks between applications. The Bio Seaweed Gel mani-pedi is The Paradise ($80), or $40 for just your mani alone. During my visit I think I spent more time talking than I ever have in a salon environment, I felt THAT at home, I almost didn't want to leave! The biggest takeaway I got from Rinse was that they are deeply invested in the community. They want to become one of those places where you can come together as a couple or a family, get some stuff done together and leave feeling better than when you arrived. They offer products and services (check out the wall with products by Koya Natural Skincare, House of Cromwell, Urban Beard and more) that reflect their beliefs, and they stand by it. I think the only part of my experience that was sad, was that I no longer live close enough to make this a regular haunt! 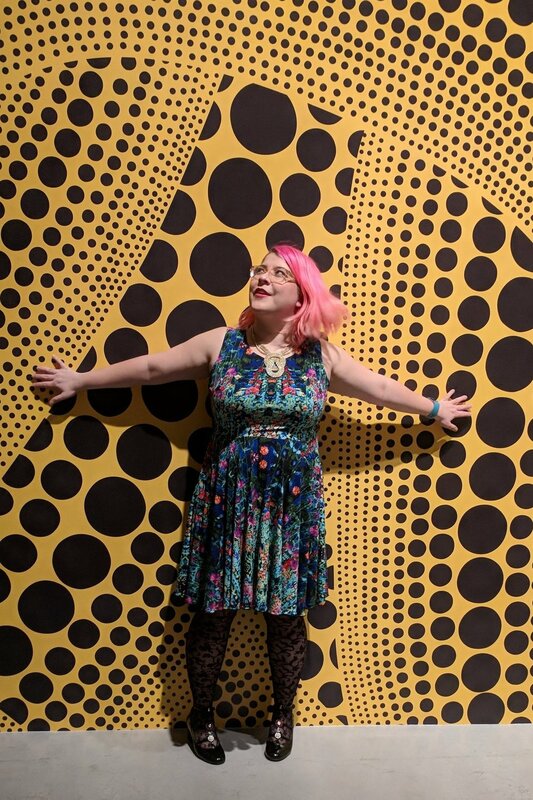 My visit to Rinse Beauty Bar was complimentary, but the review and accompanying photos are all my own.